Homemade Creamy Tomato Tortellini Soup. A perfect and simple meal on a cold fall evening. Add homemade rolls and your family will be amazed and you won’t have any leftovers! The recipe comes from a sweet friend of mine. Add all ingredients (except Tortellini and cheese) in a large pot over medium heat and bring to simmer. 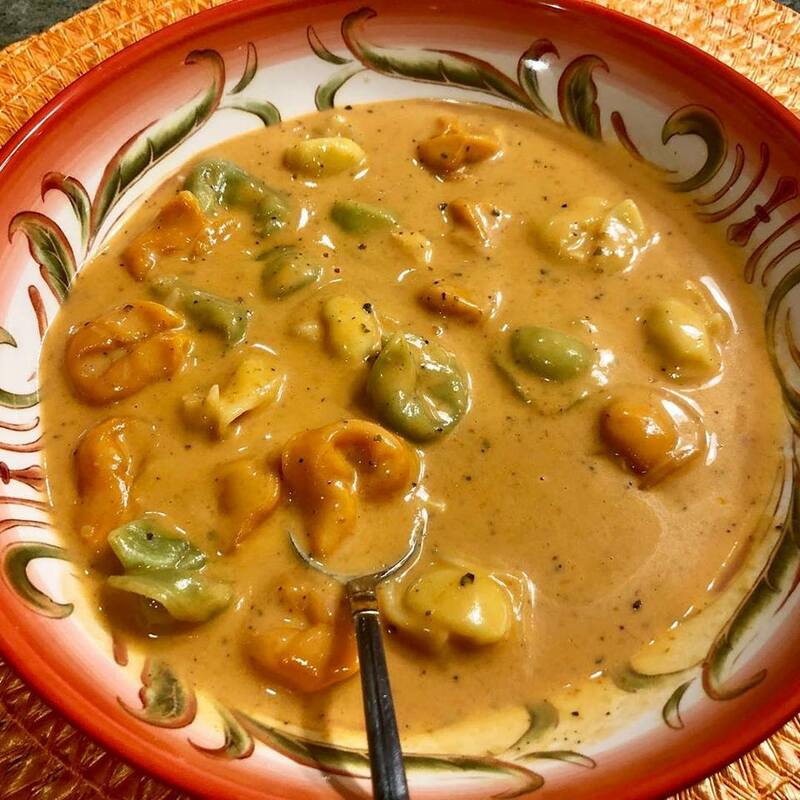 Once simmering, drop Tortellini into soup; cook until soft and tender.